Interview with Franki Valli and Bob Gaudio, originally published in the Sunday Express, February 2006. Feature: Oh What A Night! 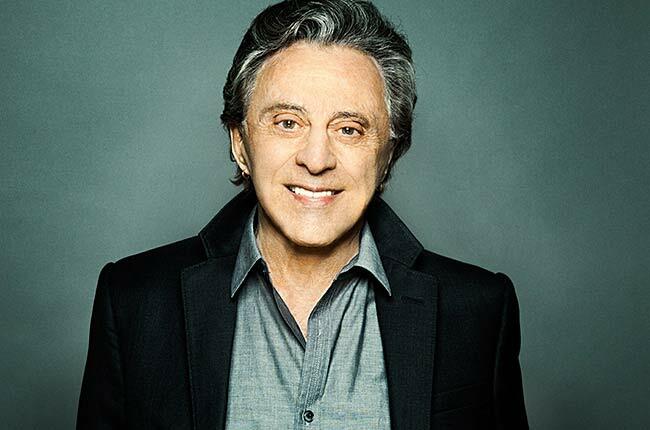 Mark Shenton talks to Frankie Valli, order lead singer to the Four Seasons, cheap and Bob Gaudio, songwriter and keyboard player, about bringing their life stories to the stage in Jersey Boys, and the two young British actors who are playing them. “How much better does it get to see your life pass before you, with a twenty minute intermission, and never have to break a sweat?”, remarks Bob Gaudio, keyboard player and the business brains behind The Four Seasons, the legendary 60s singing troupe, fronted by singer Frankie Valli, who sold more than 175 million albums worldwide. Their personal life stories are now being brought to the stage in Jersey Boys, a smash hit musical which arrives at London’s Prince Edward theatre at the end of this month from Broadway, where it won the 2006 Tony Award for Best Musical amongst a slew of other awards. The show threads some 27 of their classic songs, including ‘Sherry’, ‘Big Girls Don’t Cry’, ‘My Eyes Adore You’, and ‘Who Loves You’, into a highly revealing and dramatic story of a group of four boys from the wrong side of the tracks, or at least river, in New Jersey, and their frequent brushes with the law and their mob connections. Gaudio and Valli, the latter of whom still performs regularly in concerts around the world, are now both respectably middle-aged, and have come to London to oversee themselves newly impersonated by 28-year-old Glasgow-born Stephen Ashfield and 31-year-old Ryan Molloy, from North Shields respectively. Stephen Ashfield, playing Bob, was also coincidentally in Taboo, in that case playing Boy George himself – who was also in the show, but playing Leigh Bowery. “He used to sit behind me in the dressing room, being made up as someone else! It was my first job out of college, and he was very supportive.” But this time Stephen is drawing on his own experiences even more: “Like Bob, I was very interested in music from a very early age, and I realised I could sing, so it was my ticket out of the East End of Glasgow, and I was able to get out of that rough neighbourhood, as Bob, too, did growing up – though my upbringing was nowhere near as rough as his.” He’s also keen to point out, “what I’m doing isn’t an impersonation but an interpretation”.